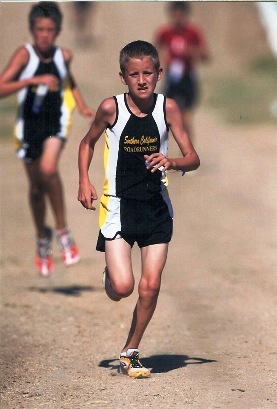 Runners battle for a spot on the Jr. Olympics team. The Southern California Roadrunners qualified 62 runners for the USATF Junior Olympic Cross Country Championships to be held in Hoover, Alabama on December 11, 2010. 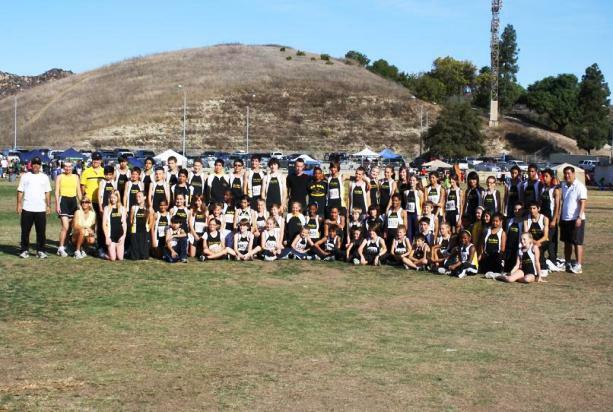 The Team based in Highland , Riverside, Walnut and La Verne competed at the Region XV Cross Country Championships held at Mt. San Antonio College Nov. 21. The athletes ran the “Rain Course” on the asphalt, because the standard cross country course was unusable due to rain. Two Bantam girls (born 2000- younger) representing the team just fell short of the top 20 tier to advance. Heather Martinez (Highland) placed 21st overall on the 3000 meter course and was followed by teammate Jasmine Alexander (Rialto) in 25th place. 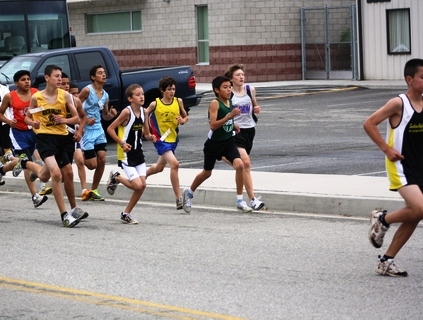 The Bantam boys’ team ran well to place second overall behind defending National Champs San Diego Roadrunners. The team comprising of Charlie Davis (Claremont), Ryan Rummens (Glendora), Noah Tamagno (Brea), Turner Humphrey (Redlands), Connor Taylor (Redlands), Max Balderas (Pomona), Antonio Diaz (Pomona) and Sammy Puraci (Highland) will represent the team. Alternates will be Aaron Dominguez (Compton) and Mikey Leong (Highland). The Midget girls (born 1998-1999) team placed 2nd behind the first place finish of Claire Graves (Highland) and second place finish of Brittany Blackwell (Sunland). Top runners on the team included Janeth Dominguez (Compton), Iesha Magallanes (Pomona) and Andrea Diaz (Pomona). Others on the team include Kyrien Wickersham (Redlands), Kassandra Martinez (Pomona) and Olivia McKenzie. Last year the team placed third at the National Junior Olympics in Reno, Nevada. Other runners that competed included Kessy Uribes (Redlands), Isabella Hanlon (Redlands) Elizabeth Haines (Glendora) and Jzsanessa Lindstrom (Apple Valley). Elizabeth Haines (Glendora) also posted a strong performance as first year competitor. The Midget boys pulled off an upset winning the team competition. Phillip Rocha (Azusa) placed second and Zafir Abou Zamzam (Redlands) placed third overall. Pedro Mier (Santa Ana), Alexis Martinez (Riverside) ,Kyle Rummens (Glendora) were scorers for the team. Advancing with the team are Chris Puraci (Highland), Chris Isaacs (Highland) and Xolan Brown (Redlands). Southern California Roadrunners create a big impact wherever they go. The Youth girls (born 1996-97) placed third overall as a team and were led by Fenrnada Rodriguez (Riverside) third place finish. Advancing with the team are Emilie Flores (Riverside), Moriah Munyan (Apple Valley), Alexa Zamora (Apple Valley), Larissa Morse (Apple Valley), Jayden Randazzo (Redlands) and Sophie Rodriguez (La Puente). Emily Lowrie (La Verne) ran in support of the team after completing a strong freshman cross country season with Bonita HS. The Youth boys advanced 2 teams to the National championships. Luis Ramos (Riverside) won the 4000 meter race. Runners advancing are Jeremiah Bias (Riverside), Austin Tamagno (Brea), James Lindstrom (Apple Valley), Daniel and Efrain Vargas (Huntington Beach), Trevor Capestany (Highland), Michael Lowrie (La Verne), Jorge Ochoa (Riverside), Pedro Sandoval (Riverside), Bryce Wickersham (Redlands), James Haefele (Barstow), Ruben Dominguez (Compton), and Andrew Rummens (Glendora). The Intermediate (born 1994-95) boys advanced 9 athletes to Nationals placing third as a team. Qualifying were Karlan Smith (Barstow), Damon Payne (Glendora), Anamacio Cardenas (Bloomington), Mark Pang (Rowland Heights), Mark Newport (Diamond Ranch), Paul Haefele (Barstow), Warren Woods (Barstow), and JJ Dominguez (Compton). The Young women placed first and will be represented by Taylor Hebb (Highland), Elizabeth Lyons (Rosemead), Jesica Yuen (Monterey Park), Betsy Hurley (Monterey Park) and Linda Rodriguez (La Puente). Two young men qualified as individuals . Sebastian Puraci (Highland) placed 9th overall to qualify along with teammate James McCreary (Diamond Bar). Kicking hard to the finish. Our best wishes go with these young athletes as they engage incross country competition at the National level.